In an interview with NASASpaceflight.com, former Space Shuttle Program (SSP) manager Wayne Hale spoke about the upcoming book on the history of the Shuttle, “Wings In Orbit,” his role in the project, and about what he is doing today. 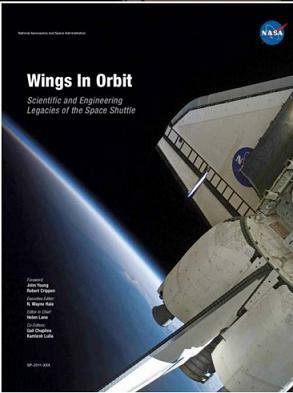 “Wings In Orbit: Scientific and Engineering Legacies of the Space Shuttle” is due to go on sale next month. Q: How did you get involved in the book? Were you involved at its inception? Mr Hale: A lot of people had the idea that we should do something to document the Shuttle program — I’m talking about after the President’s [George W. Bush] speech in January, 2004, where he announced we’re going to end the Shuttle program. Many of us had been working on the Shuttle program for our entire career at the agency, and there was a lot of talk about how do we capture the knowledge. We have a knowledge capture office, people are supposed to write down lessons that they’ve learned — design, test, and operations — things that go into the next program. I have one of the books from Apollo that’s along those lines, it’s fascinating. And these days it’s all got to be electronic — everybody wants to build a database, put it in some kind of relational database so you can search it — and that’s good and there are people doing that. But that’s not going to talk to the public. Also, many of us in the program feel like we’ve been beaten up quite a bit, because it didn’t ever achieve the goals that way back in 1971 and 1972 people had thrown around as what we ought to do with a resuable spacecraft. And that’s always held up — ‘it’s never been economical.’ So I said let us write down what we really did and then let people judge whether it was worth it or not. And so when I was program manager we had some informal discussions, myself and a few other folks, and we said in addition to doing these formal engineering knowledge capture kind of things, let’s write a book for the public that we could get published through the Government Printing Office. There are plenty of books out there in the history series where they talk about Apollo or the Great Observatories, any number of books. JPL has got a lot of books on a lot of their missions — one of my favorites is the Viking book, where they talk about how they developed it and what it did. So I said why don’t we write a history book and being program manager I had the latitude and a little bit discretionary money, but even more than that we could get people. And we said we’re not going to give you a task, but in your spare time, could you write an article on how this happened on the Shuttle or that happened on the Shuttle. We talked to a bunch of retirees and a lot of people volunteered their services. So it’s kind of a labor of love. So over the past four years, five years, it’s slowly been coming together and because…we were always aiming to have it done at the end of the program, so we knew the deadline was about in the 2010, 2011 timeframe, that was the schedule we were working toward — people were doing it almost as a volunteer effort. The only thing we really paid for was some of the professional graphics, we had to hire a professional indexer — if you’re going to do a serious book, you have to do some things like that. So I was able to get that started and provide a little dab of money for it. Some other organizations — the history organization — provided a little bit of money to pay for those kinds of things. We put together an editorial board, a really impressive editorial board, to help us scope out ‘what should we talk about,’ what are the parameters. And then as chapters started coming in, we’d review the chapters [and decide] ‘yeah, this is good, this is what we want’ or ‘no, we missed the mark, let’s go back and redo some things.’ So it’s really been a labor of love. There are…two or three hundred different people that have provided written material to this book, so it’s not any one person’s book. I’m just pleased that I was able to be in the right place at the right time to push it over the hump to get it from just a coffee table conversation to a real project. And…Dr. Helen Lane, who works out of the Sciences Office at JSC, and has published other articles, is really the key person who has done the yeoman’s job of organizing the book — she’s the ‘project manager,’ I guess you would say, that has seen it through. And she gets the lion’s share of the credit, if anybody does. We’ve got articles by astronauts, flight controllers, designers, testers, people at KSC, people at Marshall, people all around the agency that have worked on the Shuttle. So I think it’s a pretty comprehensive book and the biggest problem we had was keeping it to one volume. Everybody wanted to write more — every article we got was too big and we had to develop a page count limit, a word count limit for each section. I don’t think there’s an article that came in under [the limit], everybody came in over. So we could probably have written a ten-volume work, but we wanted to keep it to one volume. I think it’s going to be about 550-ish pages, maybe 575. We were really thinking more than that, so we allocated some pages that would have all the payload information — which payloads flew on what flight. That’s unfortunately not ready for the print copies, but we’re going to have a web copy, and it will be on the electronic web copies. Q: How would you describe the style or tone of the book — is it in the style of a set of interviews or written papers? Mr Hale: Some people wanted to write their things out, some people wanted to be interviewed — we transcribed it and let them look at it…and made it grammatically correct, but otherwise kept the contents. I would say it’s a mix. Q: What parts of the book did you write? Mr Hale: My contribution is the introductory chapters, it talks about what is the Shuttle and what is it’s place. In about five or six pages, I tried to put it all in perspective. The rest of the book then fleshes that out. They told me I had to write mine first, so I had to write that introductory section first, and then all the authors were given it to read and then ‘go from here’ — it sets the tone. My section, the introduction, is not at all technical — we celebrate the technology and the engineering accomplishments. It’s really overview — nothing that the people at NSF wouldn’t already know. And then we fill it out in the rest of the book, the history. And of course, we provide an honest account — we don’t want to whitewash it, we know there are things wrong with the Shuttle, we had two horrible accidents, it’s all in there. Q: Do you have a favorite part of the book? Mr Hale: I really enjoyed the whole thing — it’s a fascinating program. It’s been a huge program that involved tens of thousands of people and we couldn’t tell everything. My only regret is that we couldn’t tell everything. One of the real joys of the jobs I’ve had is that I’ve got to travel around the agency; I’m just one part of the program, but I got to go all around the agency and I got to talk to people that do all sorts of things that support the program. Everybody is proud of what they do, everybody is excited about working for the Shuttle program. Everybody feels it’s important. There may be a few malingerers out there, but I haven’t run into them. I wish we could tell everybody’s story, but obviously we can’t do that. Mr Hale: I came to the point in my career, given what was going on at the agency and where I was with regard to the civil service system, that it just didn’t make sense for me to continue at the agency. But I’m only 56, I’m not ready to sit on the rocking chair on the front porch and watch the world go by — I would be bored to tears. I was fortunate enough in my travels around to have encountered this small company, Special Aerospace Services out of Boulder, Colorado, run by folks that are mostly former NASA folks. They are interested in spaceflight safety, that’s what they do, working with a variety of firms. I was able to sign on with them. I told them I only wanted to work part time. Their idea of part time was a little bit more than what I [thought]. [Smiles.] I’ve been able to do things with my grandchildren and my family that I really enjoy doing, but it’s really exciting to me to still be in the business, to be able to take some of the knowledge and experience that I’ve gained over the years and help some of these folks out that are trying to build the next generation of human spaceflight vehicles. And help them avoid some of the pitfalls that we fell into. It’s been enough to keep me busy. 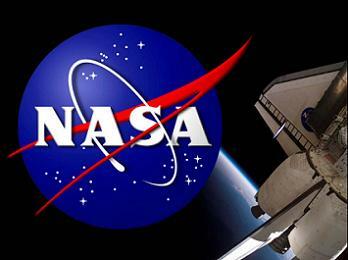 Q: How would you compare the time demands of your new job with being Shuttle Program Manager? Mr Hale: It’s a lot less than being Shuttle Program Manager. 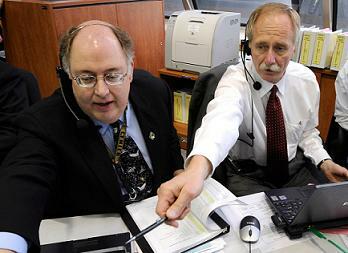 Shuttle Program Manager is a 100-hour a week job. The last couple of years I was with the agency, I was on Bill Gerstenmaier’s staff and that kept me full time busy — that was a 50-hour a week job. This is about half-time, although it comes in spurts, and my wife points out there’s almost as much travel as I ever used to do, because we have these clients and we fly out to their place and…give them advice. So I spend a lot of time at the airport, which I’m really tired of. [Laughs] I get to go a lot of places, and see a lot of things, things you read about other people are doing. Now I get to see what’s really going on. We give them advice, and sometimes they even take our advice [smiles], that’s good. 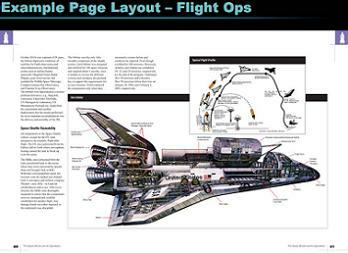 Q: How does the book address the Shuttle’s legacy? Mr Hale: That’s the book, that’s the subtitle — what did we actually accomplish? What did it mean to the American people? There’s a whole section on the culture — what did it do for not just American culture, but world culture. So we’re trying to hit that. I suspect that when the book comes out and people get copies of it, like every other book or movie or anything else that comes out, there are going to be critics that say ‘well, they missed the mark’ or ‘they didn’t have this right’ — I’m fully expecting that, because it’s not perfect. But it’s our attempt to put the story together, to tell it from the perspective of the folks who were in the program, [that] actually designed, built, flew, operated, got the scientific results from [the Shuttle] and tell it from our point of view. And hopefully it will make a pretty impressive case that the Shuttle was really good. When I say really good, I mean it really contributed to the advancement of technology, engineering, and even in social fields. Could we have done better? I’ll be the first person to tell you, yes we could have done better. 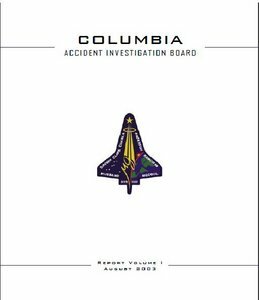 I keep going back to the Columbia Accident Investigation Board, who said that the failure to replace the Space Shuttle was a failure of national leadership. When we designed the Space Shuttle, it was going to fly for 10 years, and the thought was ‘well then we’ll build the next one.’ And if you look at the history of aviation, which a lot of people…like to cite…when they talk about what we ought to do in space, the one thing you know about the history of aviation is that people built lots of vehicles — there were lots and lots of airplanes. And design changes, and people would try things out and see if they worked. In space, we have the Shuttle, and you’re not going to advance if you just keep doing the same thing. We should have, my opinion now, after 10 years said ‘we need to build the Block 2 Shuttle and it’s going to be different than the Shuttle we’ve got.’ We’re going to take the lessons that we’ve learned — maybe it won’t be as big, maybe it will be bigger. Maybe it doesn’t need the crossrange so it won’t have wings and it will just be a lifting body. Maybe it will have more crossrange. But we should have sat down and said ‘how can we make it safer?’, ‘how can we make it more economical to fly?’ And we should have made an investment as a country. The problem was, the Shuttle we got was just good enough that nobody wanted to say ‘we need that next vehicle.’ Let’s just keep flying what we’ve got, we’ll kick the can down the road, because developing new vehicles is expensive. But we would be a lot better off today as a nation if we had built a second-generation Shuttle, and maybe by now third-generation Shuttle. We would have vehicles that are safer, more economical, and we would really be opening up the space frontier, dramatically more than the Space Shuttle has done. But that’s a question of national will, politics, and economics — not technical issues. I got into a little back-and-forth with somebody on one the forums about ‘why doesn’t NASA leadership do something better?’ Well it isn’t NASA, it’s above NASA, it’s at the national level — [it’s a] ‘write your Congressman’ kind of thing. But if you’re interested in space, why would we not build the next generation vehicle that could do a better job? That’s the kind of debate you get into, and we should have in my opinion replaced the old bird a long time ago, as proud as I am [of them]. But in spite of being an old bird, she’s done some pretty amazing things.